“Weight loss—and I mean the healthy, sustainable kind—only happens if it’s embedded in one’s lifestyle. So does creativity,” says Huynh Vinh Son as he happily savors his fruity waffles. 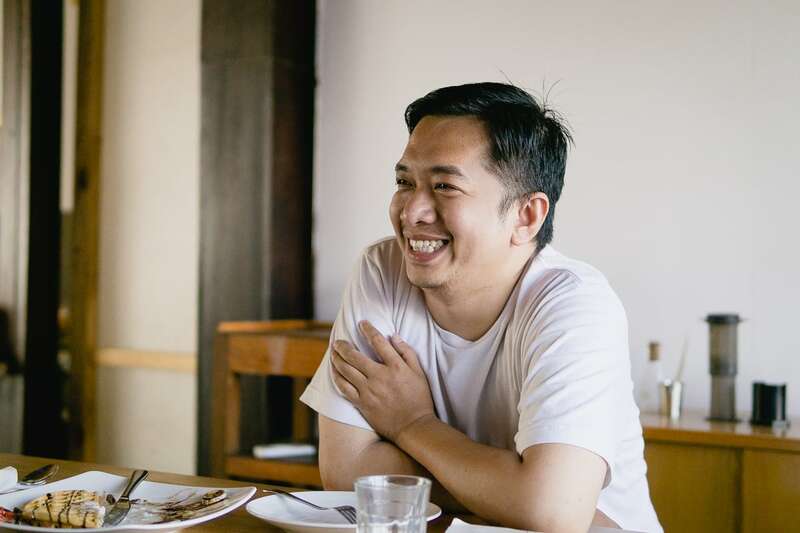 The copywriter, and creative director, just celebrated his 10th year in advertising. 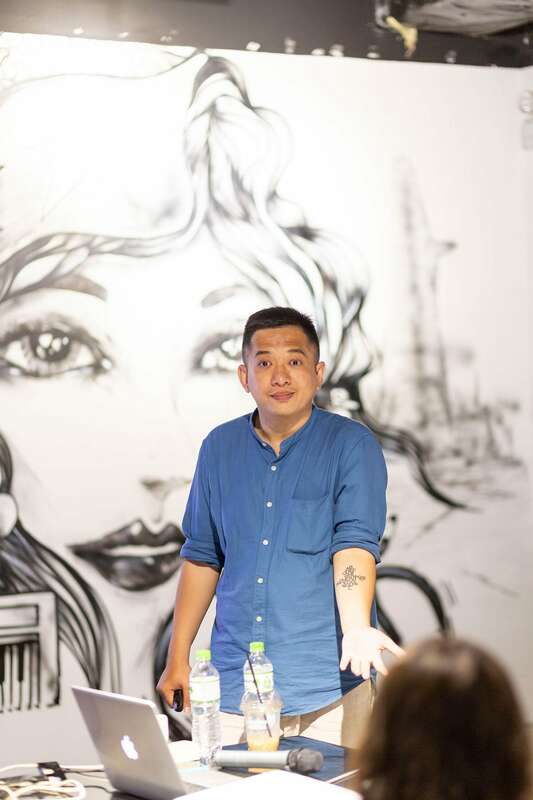 Huynh Vinh Son nicknamed himself Sói Ăn Chay (‘herbivorous wolf’) because “carnivorous wolves are the status quo.” He specializes in fun, twisted copy that takes an extra second to comprehend, then rewards you with a smile on your face. Brands love Son because he writes clever content like no others. 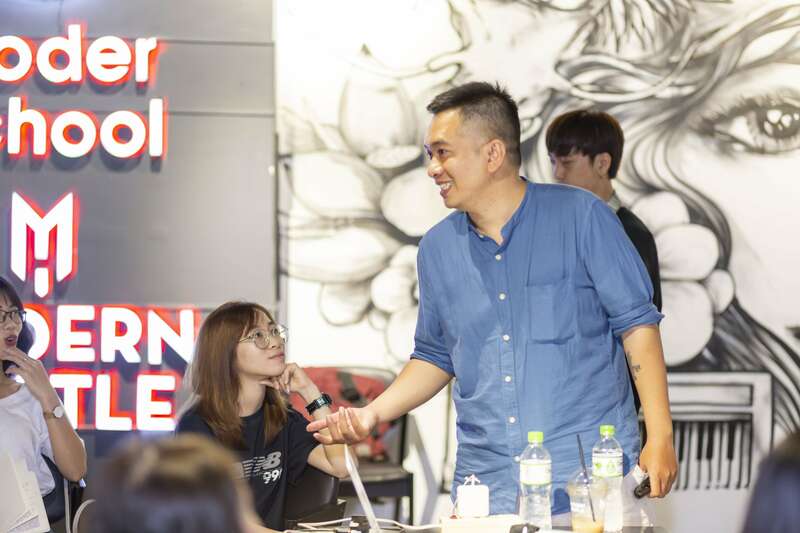 On Sundays he teaches junior creatives to find their own voice in his class “Sáng Tạo A Bờ Cờ”. With an endless zest for sharing and teaching, Huynh Vinh Son is precious to his students. 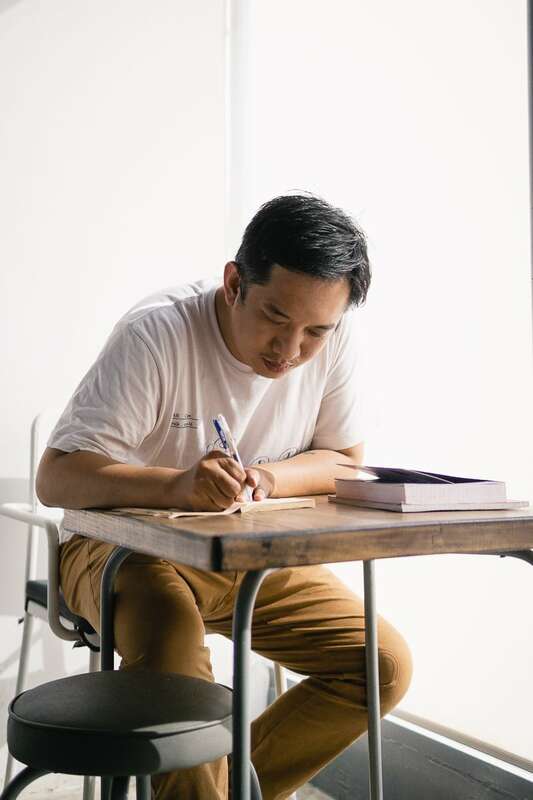 His two books “Ý Tưởng Này Là Của Chúng Mình” and “90-20-30” sit like bibles in creative agencies throughout Vietnam. 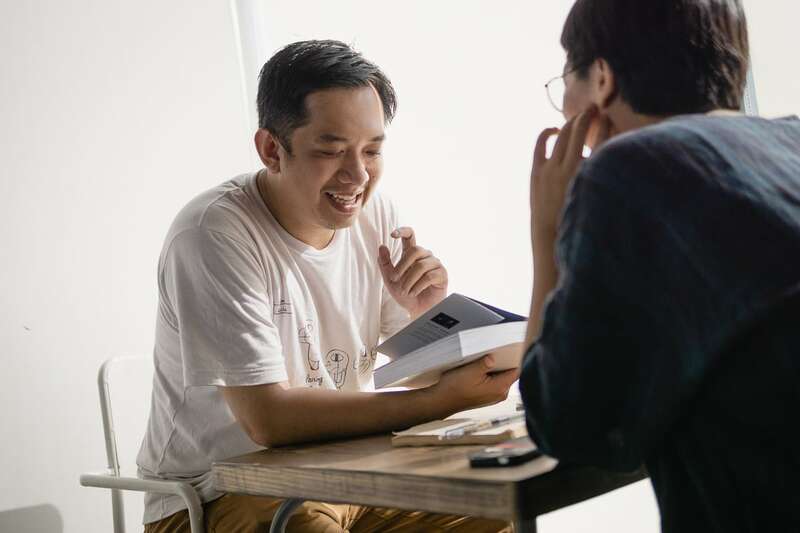 With an endless zest for sharing and teaching, Huynh Vinh Son is precious to his students, who are young in the field and often understandably lost. | Source: Huynh Vinh Son. In the midst of mild writer’s block, our storytellers reached out to Son. Soon enough we were at a cafe, chatting about how it’s challenging and exciting at the same time to be a creative. Is it true that the most creative people are ‘tortured geniuses’? Do traumas make people create better? It’s a stereotype deeply rooted in our civilization: the artist, musician, writer, actress who outshines in his or her field, but is tormented by inner demons. It’s also an idea I bought into starting out in this field. Many of my colleagues draw exceptional ideas from past traumas because those were more thought-provoking than happy moments. I’m neither tortured nor a genius, I’ve led what most would consider a pleasant life. Sometimes that left me with an odd insecurity—am I too happy to be truly creative? Am I too shallow? And then I actually started working with said ‘geniuses.’ They were still great, but their obsession over negativity oozed into their work and their relationships with colleagues, including me. And they’re burned out from living, so there’s hardly any energy left to create. It was heart-breaking. I believe cognitive engagement is the fabric of all great ideas. Along the way, I also met other kinds of geniuses. They go to the gym and don’t get high too often. They’re emotionally available to think of new stuff. Their work is dramatic enough for headlines but their personal lives are certainly not, so you rarely see their names beyond the credits. I decided that was who I wanted to be. A creative wracked his brain coming up with a copy. His client doesn’t like it. What’s the best way for him to handle the negative feedback and stay motivated? Ouch, that hurts. But that’s very common in this kind of work. In order to come up with fresh perspectives, creatives often let themselves romanticize the product, finding new lights in which it could be seen. For example, a creative sees a camera and thinks “graphic time machine.” This creative process births emotional attachment as a side effect. It renders us vulnerable. After all, our idea is our brainchild. It’s only natural to take feedback personally, oftentimes we have to teach ourselves not to. Creative bravery is a winning virtue. If you want to play safe, you’re in the wrong field. | Source: Huynh Vinh Son. 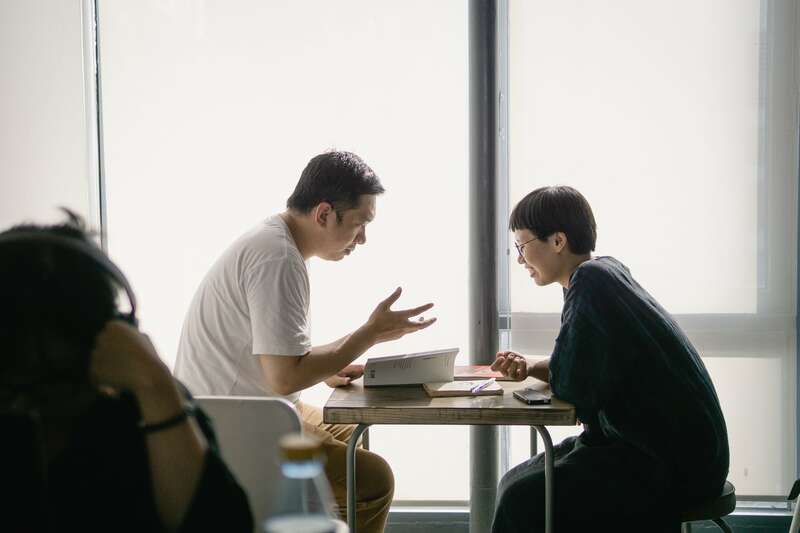 It helps to understand the client doesn’t undergo a similar creative process and they usually speak from a mix of personal and strategic perspective. If you have a great idea that’s also unorthodox, your client will often focus on its risks. My suggestion is to defend your work where needed, go the extra mile to communicate, and build onto that feedback. I hate to say this but every pitch is a high-stakes game. It will get tiring and you will have to persist through the frustration. That’s why creative bravery is a winning virtue. If you want to play safe, you’re in the wrong field. 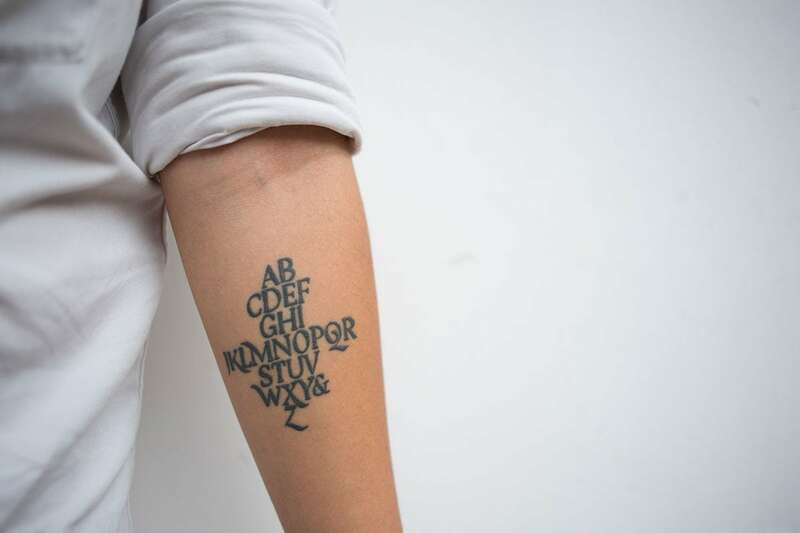 How do you keep yourself fresh and full of ideas after a decade of creative work? I believe cognitive engagement is the fabric of all great ideas. I go out of my way to learn as much as possible about as many things as possible. And I write all of that down on this notebook. It adds up into a huge reservoir of forethoughts and proposals. When I need an idea in any area of my life, it’s likely that I’ve gone through it before. I pick up several past thoughts and weave them into new ideas. Does that mean you hardly take a rest from work and learning? How do you achieve work-life balance? A creative director of mine once said, “How we live is how we create.” Working as a copywriter requires a specific kind of lifestyle that entails endless curiosity and a habit of questioning what we already know. It’s hard to achieve a balance when your work and personal life are so interdependent. But there should be healthy boundaries to keep them in harmony. For example, when I find myself wallowing in excessive thoughts on a Saturday afternoon, I know it’s time for some Netflix. The billion-dollar advertising industry is a leading force behind consumerism and our current ecological crisis. What are your thoughts on this? It puts me in a moral dilemma quite often. The other day my mother was tempted to buy a pot on Lazada because of the copy ‘Only 4 items left.’ The problem was we definitely didn’t need it. We had a similar one at home that we never used. Consumers today face an overwhelming amount of choices and information. It’s no longer the price they couldn’t afford—it’s the cognitive effort required to make a buying decision. As a consequence, people get lazy. They leave it to the best marketers out there to tell them what to do through promotions and ads, things that I write. As a copywriter I get to give these brands a voice and a personality. My words become a bridge between who once spoke different languages. On an individual level, I think copywriting is still the best job for me out there. But it’s mind-boggling to contemplate the true impact of my work in the bigger picture. What keeps you in this field despite the tough moments and moral dilemma? Many clients came to me with great products that couldn’t sell because they didn’t know how to speak to their target audience. As a copywriter I get to give these brands a voice and a personality. My words become a bridge between who once spoke different languages. I don’t fancy the advertising industry but I love being creative and it allows me to do that for a living. The moments I get to say something worth listening to keep me in this field. They are like shooting stars—few and far between, but truly special. If you were not a copywriter, what would you do? Anything that lets me play with words. I’d be a screenwriter, an editor, or a teacher. Whenever I come up with a cool idea, I just can’t wait to share it with others. My love for expression is the sole reason why I survive the advertising industry. If I were not a copywriter, I would do anything that lets me play with words. What’s your advice for budding creatives? Experience life beyond work. Think hard and reflect often. The most underrated aspect to being a creative is that your personal growth translates into the quality of your work. If you have a full-time creative job, have side projects where you get to experiment with whatever you like. What makes you struggle today, makes you a master tomorrow. Brave through the unique hardship of this profession and celebrate the small wins. Embrace the fact that you’re challenged to do what you love. In an emerging economy pillared on agriculture and manufacturing, it’s a privilege to get paid for just thinking of fun stuff. So if you’ve made it into this field, you’re a very lucky person.